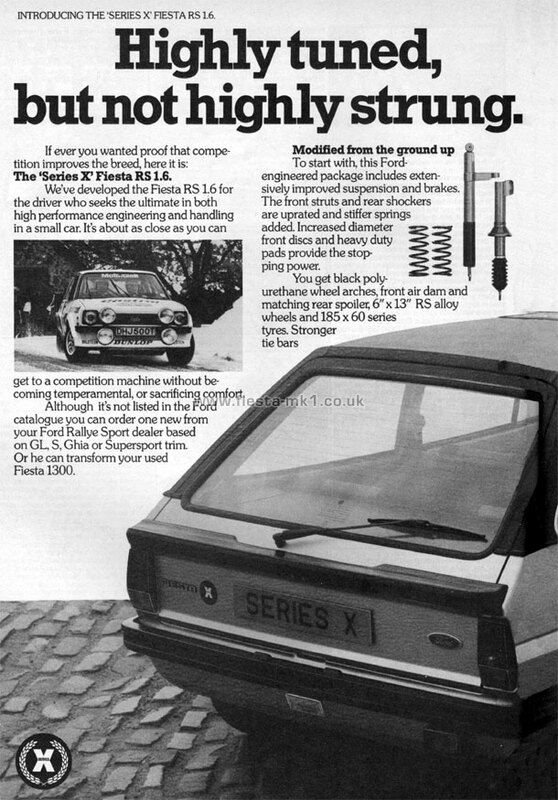 "Introducing the Series-X Fiesta RS 1.6. Highly tuned, but not highly strung." Release Date approx. December 1980.